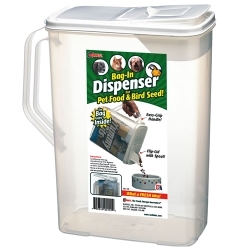 Bag-In Dispensers® 80 Quart Pet Food Dispenser with 2 Wheels & Scoop | U.S. 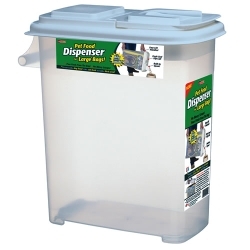 Plastic Corp.
Buddeez' largest pet food dispensers simplify the storage and handling of today's 55 lbs. 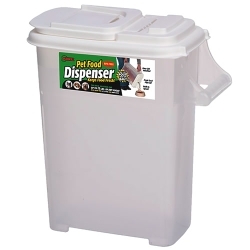 bulk pet food bags. 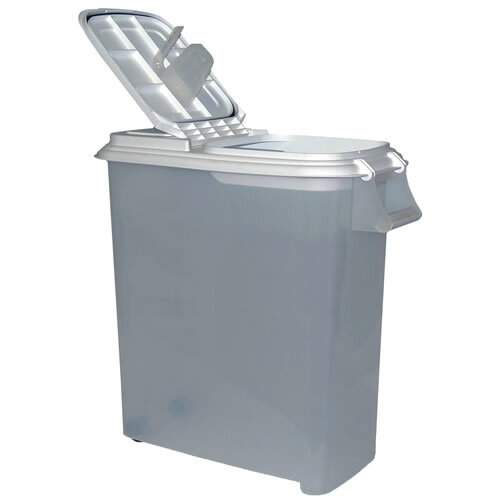 This 80 qt. size has a maximum 70 lbs. capacity! 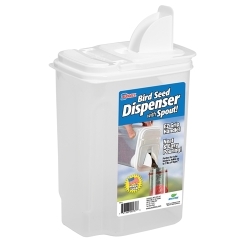 Dispenser comes with an attached scoop and it has easy 2 wheel mobility. 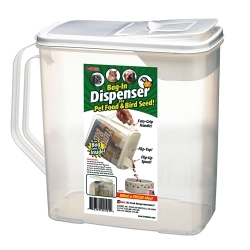 It has a heavy duty construction, a clear, see-thru body and the bag-in option. 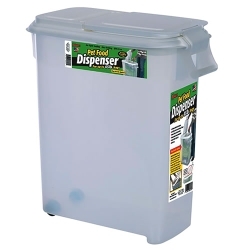 Dispenser is weather proof, has an air tight gasket, easy grip handles and lid locking clasps. BPA free. Dimensions: 24.5" L x 12.5" W x 26.3" H.